Robin Santiago is as a Vice President of Investment Sales at The Kase Group. He advises clients on the acquisition or disposition of commercial investment properties, site selection, financial analysis and negotiations. Mr. Santiago brings over a decade of industry experience to his diverse work, first as a Senior Associate with Grubb & Ellis, and most recently as a Vice President in the Silicon Valley office of Kidder Mathews. In 2013, he earned the Kidder Mathews Career Award for his performance as a top producer. In his career, Mr. Santiago has closed over 700,000 sq.ft. of lease and sale transactions with an aggregate value of over $180,000,000. 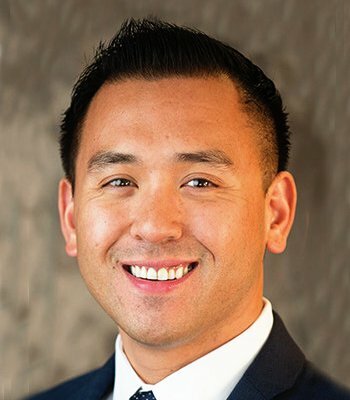 Mr. Santiago received his undergraduate degree in Business from San Francisco State University and is currently pursuing an MBA from Santa Clara University. In addition, he is a Certified Commercial Investment Member (CCIM), a designation held by only six percent of all commercial real estate practitioners. Outside of work, Mr. Santiago enjoys traveling abroad and staying active by running, cycling and rock climbing.